In a move that smells very much like WhatsApp’s decision to exclude iPad support, RIM have confirmed that their Blackberry BBM service will be for iPhone only. The BBM service will be coming to both iOS and Android this summer as a free download. With RIM’s marketshare continuing to take a nose dive, and with a further 6% decline in their number of shipped handsets for Q1 2013, RIM took the decision to open up their still surprisingly popular BBM service toiOS users. However, the BBM App won’t be natively supported by the iPad or iPad Mini so will have to run in windowed mode. Bhardwaj explains that the absolute focus for Blackberry has to be smartphones at the moment, and says that when looking at tablets the entire dynamic of the Application changes all-together, as well as the usage model. The Nail In The Coffin For BlackBerry BBM? While the above justification doesn’t really make sense – I mean, of course if you increase the screensize the dynamic of the App will change, but it’s usage is still the same. However, if compared to other similar cross-platform instant messaging services, BBM is following in their footsteps with no iPad support. 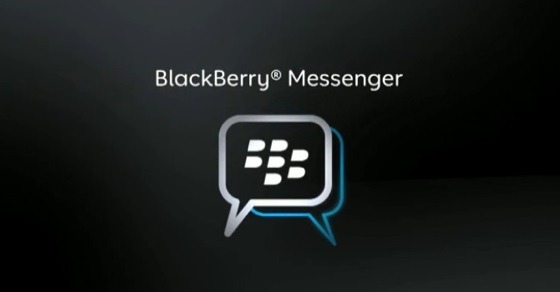 Given the decline in Blackberry as a platform, the BBM instant messaging service remains incredibly popular. One of the strongest marketing tactics of Blackberry was their BBM service, and it retained alot of customers by its exclusivity. Now Blackberry BBM is open for iOS and Android, despite alot more people now using the service, it may just be the death of Blackberry as a platform as we know it.